And the Pattern Pyramid Continues! Well, actually, there will likely be a lot more considering how many patterns are currently in this stash. This particular Pattern Pyramid has been all over the world and has been gaining more patterns than it’s been losing! It started in London by Karen of Didyoumakethat?, then made it’s way to Sew Brunswick in Melbourne, Australia. From there it headed to the US where it stopped in Philadelphia at Seersucker Sally‘s and then in Seattle at Tiffany’s of Twilltape Shop (Hi from Seattle, Tiffany!). Tiffany added the first pattern back to bunch, which changed this pyramid from one that was shrinking to one that was growing! From there it headed back across the globe to New Zealand, making its way to Kat of Modern Vintage Cupcakes. Only after this trip did it finally make its way back to Europe to Debi of My Happy Sewing Place in Edinburgh, Scotland. Ever since it’s been floating around North America, stopping in Montreal to see Heather of Closet Case Files and Boston to see Lucinda of Sew Wrong. And, now it’s made its way back to Seattle to visit me here at Sew Well! Whew! What a journey! But, it’s not done yet. Now it could be making its way to you! Interested in helping this Pattern Pyramid continue its journey around the world? We’ve got the Pattern Review highly recommended McCall’s M5525 (bust sizes 31.5″ through 38″) and several other modern patterns including McCall’s M5479 (bust sizes 29.5″ through 34″), Burda 8279 (in what appears to be a full range of sizes), and the Vogue Basic Design V7693 (bust sizes 30.5″ through 32.5″). We’ve got you covered if you like 70s fashion with the safari-style jacket in Style 1821 (bust size 36″), the perfect summer dress in Style 2697 (bust size 32.5″), and some rockin’ separates Simplicity 8154 (bust size 36″) and McCall’s 2539 (bust size 33.5″). Shift dresses are all over the sewing blogosphere these days, and this Pattern Pyramid comes with an assortment of options. 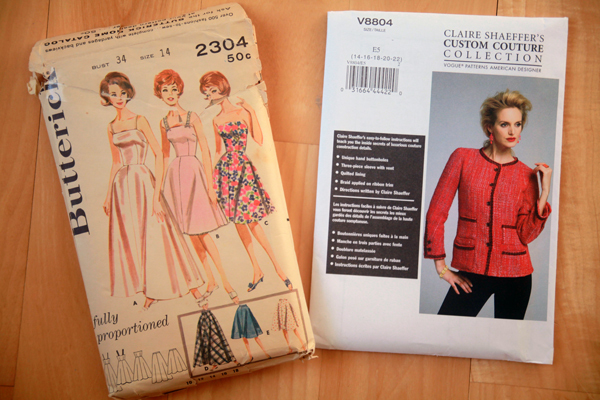 I like the curved darts of Simplicity 9171 (bust 40) and the bow blouse option of Simplicity 6276 (bust 32″). Or, you can try out Simplicity 7818 (bust size 36″). Simplicity 7863 (bust size 34″) is a cute 60s suit option if shift dresses aren’t your thing. Finally, we’ve even got a pattern dating all the way back to 1952 – the amazing Vogue 7588 (bust 36″). Now, I should continue the trend of pyramid growth and add a pattern or two from my own collection. But, I’m embarrassed to admit that my patterns are among the few boxes that have sat unpacked since moving in. (Notice I’ve been using all new patterns since moving here – the Twist Maxi and Tiramisu were pdf downloads and Vogue V8766 was sent to me by Craftsy.) If I get motivated, I may add to the pyramid. If not, please understand that sometimes you just have to leave some boxes unpacked for a little while for the sake of sanity! UPDATE: I did dig through the still unpacked box with my patterns in it, and I came up with two to add to the giveaway. You can read about them here. Another idea I had was to break this pyramid into two or three smaller pyramids, more in line with the five to six patterns Karen initially put into her giveaways. But, there’s a wonderful note that came with the package that has been added to by each of the recipients. It describes its journey around the world and makes you feel like you’re a part of something a little bit secret and really, really cool. I realized that I’d hate to split any of the patterns from its history. So, this group will remain as one. Giant. Growing. Pattern Pyramid. Now for the best part – the giveaway. I will send this Pattern Pyramid anywhere in the world. If you’d like to be entered into the drawing, just leave a comment below letting me know. I’ll pick a winner at random next Monday, July 22nd at 7 am PDT. To enter you must have an active blog so that you can host your own giveaway and continue the Pattern Pyramid on its journey. If you are the winner, you will pick one pattern to keep for yourself, then host your own giveaway, randomly select a winner, and mail the remaining patterns to them. They will in turn continue the process. If you are the winner, Karen would love it if you could make a small contribution to The Brooke. This is a charity close to the heart of Catherine, who so generously provided the original patterns. Curious what I kept for myself? 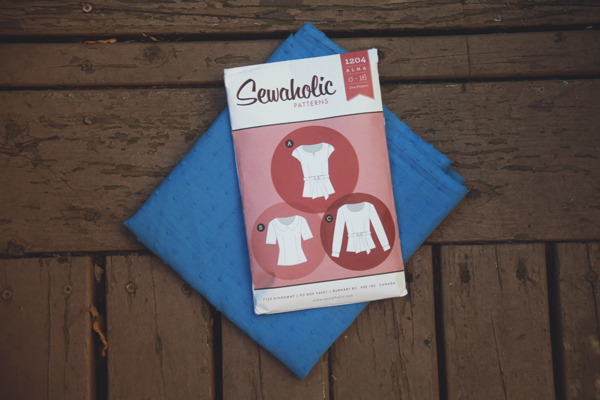 The Sewaholic Alma, which I will be making up in a fun dotted cotton voile in cornflower blue from Mood for my next MSN make. Oh, I definitely have patterns to contribute! Hope it comes my way! Wow! Those are some great patterns. It will be tough for the winner to choose. Please enter me in the pyramid drawing. Thanks! Yay!!! I’d been wondering how the Pattern Pyramid was going. It’s good to know it’s still very much live and kicking. Please count me in. Please DON”T enter me – I won and passed the pyramid on over a year ago. I am thrilled that it is still going! Good luck everyone! Is anybody here from Russia? I can’t believe this is still going on. The sewing blogosphere is such a wonderful place to be! 🙂 And I think it’s time the pyramid crossed over into Europe again… 😉 I really like the style summer dress. Oh, wow! The Pattern Pyramid really does live on and I love the idea of that note. I had no idea people had added messages to their packages. How truly wonderful. I could never have predicted this when I started the Pattern Pyramid. The pattern pyramid reminds me of chain letters we used to get as kids. I’d love to be a part of the pyramid – please enter me! I’ve like to help the pyramid continue it’s epic global journey so please count me in. Oh this sounds fun! I’m in Brazil and I would like to join in! I would love to participate in the pattern pyramid! This is just too much fun! I am in! I want in on the pattern pyramid! Ooh lovely selection of patterns! I’d live to join the pattern pyramid, fingers crossed!! Wow! I don’t think I would be able to contain my excitement if a parcel like that arrived on my doorstep! What an amazing idea. I would absolutely love to take part! How fun! Please enter me in the drawing! Wow! I can’t believe how this has kept going so long! Please count me in, there are some beauties there I’d love to get my hands on! Would you put my name in the box please? Sounds fun! I have a couple patterns I can contribute if the pyramid comes my way. Pingback: Sewing Luck & Pattern Pyramid | Did You Make That? Please can you include me? I love the sound of the notes. Please enter me! I can’t believe that 1950s Vogue dress is still in there. I think I’ve entered every time for the sake of that pattern lol. I even have a couple of patterns to add to it, should it get sent my way. This is fantastic, I’d love to take part! Yes please, I would love to participate! Sounds so much fun! I would love to enter! 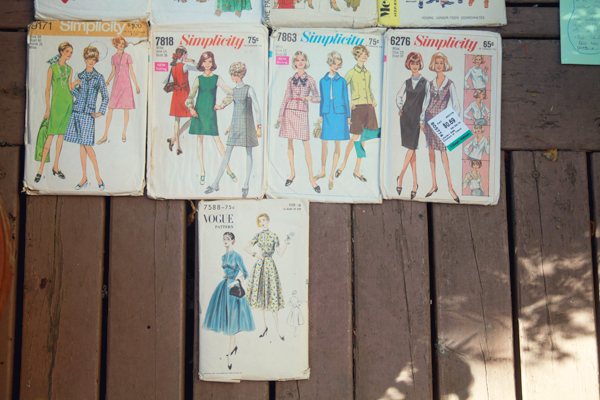 Some of these vintages patterns are gorgeous! Sounds like a plan. 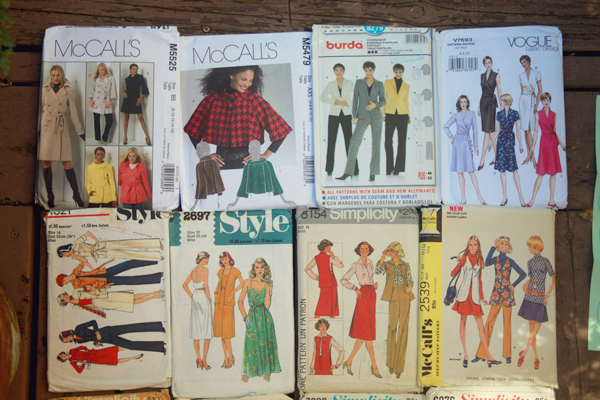 I culled my old patterns years ago but still have a few that are worthy of heading on. Yes this sounds like fun, please count me in. Love Alma and look forward to seeing your version. Cornflower blue fabric looks lovely too . Sounds like fun. Count me in please! I’d love to join. What a fun idea. I would LOVE to win!! clothesandsewing.blogspot.com! This is so cool, I would love to be a part of it! Yes please! Sounds like fun! If I will, would it be okay to draft my favourite pattern and then send them all off on the journey together? I also have a couple of patterns that I am more than happy to add to the bunch. *Raises hand high over her head* Pick me! Pick me! Pretty please? Wow, I’d love to host a giveaway! Thanks for this! Wow that is a a whole load of patterns happening! I’d love to be part of the pyramid and have followed it from the beginning. It’s amazing to see it keep going – it’s such a great idea! How wonderful….to be honest this is the first time that I’ve actually sat down and read what the pattern pyramid is! I love the whole “pay it forward” life it’s taken on! I would love to enter the pattern pyramid giveaway! How exciting that it is still going around and still going strong! Please count me in too! I can’t believe the pyramid is still running strong! Oh my gosh, I would love to be the next recipient of the pyramid! Sorry! I’d already chosen the next winner by the time you commented. You’ll have to follow the Pyramid to its next stop! I would love to enter! Please count me in.